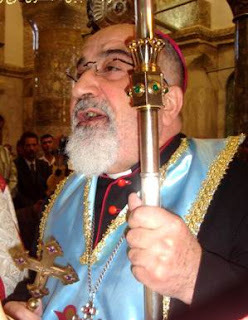 The Archbishop of Mosul, Paulos Farroj Rahho, has been found dead. It is not clear whether he was killed by his kidnappers or whether he died from his very poor health. If the latter this does not mitigate the kidnappers guilt, since by kidnapping him they deprived him of the medicine which he required on a daily basis. Cardinal Emmanuel III Delly celebrated his requiem Mass in the Christian town of Kremlis, a short distance from Mosul. Cardinal Delly described Archbishop Rahho as "...a man of honesty, loyalty and peace. He was loved by all Iraqi people." Pope Benedict will preside over a requiem Mass for the Archbishop on Monday 17 March in the Redemptoris Mater Chapel in St Peter's Basillica. The death of Archbishop Rahho brings the total number of clergy martyred in Iraq since the war in 2003 to seven. Two Chaldean Catholic priests, three Chaldean Catholic sub-deacons and one Syriac Orthodox priest. All but one of these have been killed in Mosul and there are now real fears for the Christian community there. I am reminded of the words of Archbishop Romero of El Salvador – another martyr for the faith – which although they relate to another situation and another time are no less applicable to the Iraq of today. 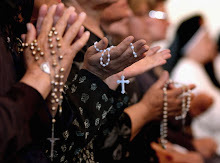 "How sad it would be, in a country where such horrible murders are committed, if there were no priests among the victims! A murdered priest is a testimonial of a church incarnate in the problems of the people... 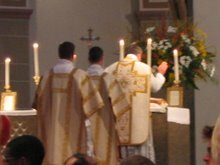 It is the glory of our church to have mixed its blood - the blood of its priests, catechists, and communities – with the massacres of the people, and ever to have borne the mark of persecution... A church that suffers no persecution, but enjoys the privileges and support of the powers of this world – that church has good reason to be afraid! But that church is not the true church of Christ." Réquiem ætérnam dona eis, Dómine. Et lux perpétua luceat eis.